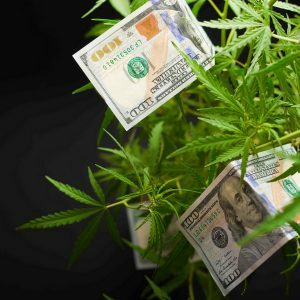 Whenever I conduct accounting for my cannabis business and see my dire financial straits written down on paper, I can easily be discouraged, often entertaining the thought of changing careers altogether. My average yearly profits from growing cannabis hover around $29,000. After I take care of such necessities as my house payment, property taxes, car repair, food and clothing, little if anything is left over. I don’t go out to eat. Haven’t been to a movie theater in years. I’m wearing clothes I bought years ago, and my car is an old clunker. I’m not getting rich on $29,000 a year in grow profits. And even that figure isn’t guaranteed. If I experience a grow-room disaster from spider mites or botrytis or an unfortunate weather event, I might end up with no money at all. I don’t have any savings, and my only asset is my home, which isn’t worth much. And I owe money on it. No matter how stoned I get, I still worry about how or if I’ll ever reach the financial critical mass my dad had been telling me about ever since I was young. Dad’s sage advice was that a person who wants a safe, secure middle age and retirement should have achieved a specific baseline of assets, investments and wealth by the age of 50 or 55. This minimum baseline includes owning two homes outright — one to live in and one that generates rental income. You should have no debts, and at least $500,000 in savings, along with some interest-bearing investments. You should have paid into social security, or a pension or retirement fund that’ll give you a monthly stipend, should you decide to stop working or be forced to do so because of old age or a layoff. Unless you achieve financial independence, you could end up as the proverbial hamster running in the treadmill, working into your 60s, even 70s. I know people in poor health in their late 70s who are Walmart greeters. They live in tiny apartments, with no hope of retirement. They will, literally, work until the day they drop dead. But when I contemplate my ability to generate income growing cannabis at home, I have my future in mind. Some people ask me if it’s all worth it — to work hard and worry about being busted, all for a measly $29K a year. Believe me, I’ve spent many sleepless nights asking myself that same question. And yet I keep growing. Perhaps the main reason is that I grow weed that’s better than anything I could buy anywhere else in my region. Over the years, I’ve invested in rare cannabis cuttings and landrace seeds, and even though I’m no strain-breeding genius, I know enough to make interesting crosses, choose phenotypes, and backcross to make marijuana varieties nobody else has. But the fact that I’ve made my own unique strains isn’t the only benefit of breeding — it’s that I’ve made strains that give me the kind of high and medicinal effects I want. Most cannabis consumers engage in a psychoactive gamble whenever they ingest weed. They get the effects that the bud’s cannabinoids and terpenoids deliver; it’s hit or miss as to whether all those effects are what the consumer is after. I want cannabis that stimulates me, helps me be creative, and enhances my enjoyment of life. You could go to the legal dispensaries with the biggest weed menus and not be sure that the high you get is the high you want. Because I’ve carefully studied my plants and phenotypes and bred in what I want and bred out what I don’t want, I get the exact high I desire. And if I want a particular high I can’t find elsewhere, chances are customers will also want that same particular high. That kind of psychoactive customization isn’t going to happen for you unless you take control to grow and breed your own unique cannabis strains. Regardless of whatever testing and regulatory scheme a legalized cannabis state has in place, I didn’t grow the weed or make the concentrates sold at licensed dispensaries, so I can never be sure if the processes used to grow or manufacture the product are 100-percent safe. Pesticide residue on retail Cannabis products is often found at levels exceeding the allowable levels on any agricultural product. Using magnifiers, I’ve examined dispensary bud and concentrate and seen such contaminants as animal hair, ashes, human hair, insect bodies, dirt, mold spores and powdery mildew. I possess a finely-tuned palette and can detect by taste and smell when dispensary weed is contaminated, improperly dried and cured, or when concentrates retain residue of hexane, alcohol, butane, and solvents used to extract cannabinoids and terpenoids from whole bud. Worse yet, many cannabis nutrients brands are guilty of contaminated or improperly stored products that transfer harmful heavy metals directly into crops, while unscrupulous growers use toxic pesticides, bud boosters, fungicides and mildewcides on their plants during flowering. When it’s time to harvest, these harmful substances are often present in plant tissue. 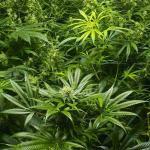 How can you be sure that buds and concentrates you’re consuming are 100-percent pure and safe? Simple: By producing them yourself using the cleanest, safest grow-room procedures, nutrients and materials. Getting the high or outcome you want from the cannabis you grow goes beyond breeding proprietary seeds and strains. It also comes down to when you harvest. Instead of examining the seed catalogue, which may note that the strain is ready for harvest after 56 days in bloom phase, you can practice incremental harvesting, where you ingather small amounts of bud from your plants as they ripen. If the strain is customarily ready for harvest at 60 days, you’re likely to enjoy an array of tastes, scents and highs when you harvest at days 52, 56, 60 and 64, respectively. This has been a lifesaver for me when I was growing couch-lock Kush and indica strains with customers in mind, although I personally dislike that sort of heavy high. For that reason, I harvest some buds for myself earlier to get a more stimulating high, while allowing most of the plant to continue ripening to create the knockout Kush and indica punch that so many of my customers crave. This works in the opposite direction, too. I’ve grown sativas, sampled them at the recommended harvest time, and found them so speedy that they made me anxious, paranoid and sleepless. By allowing them to go past ideal harvest time so the buds are overripe, some of the THC degrades to CBN, and more CBD develops, creating a high that I find less jarring. Breeding cannabis means growing from non-feminized strains and sometimes from clones, so you combine genetics to get the phenotypes you desire. Breeding unique cannabis strains — instead of growing only from standardized clones or common, popular feminized seeds — contributes to the heterogeneity of the cannabis genetic lineage. Widespread genetic diversity is the best way to ensure a plant species can survive the pests and diseases that are seeking to feast on it. 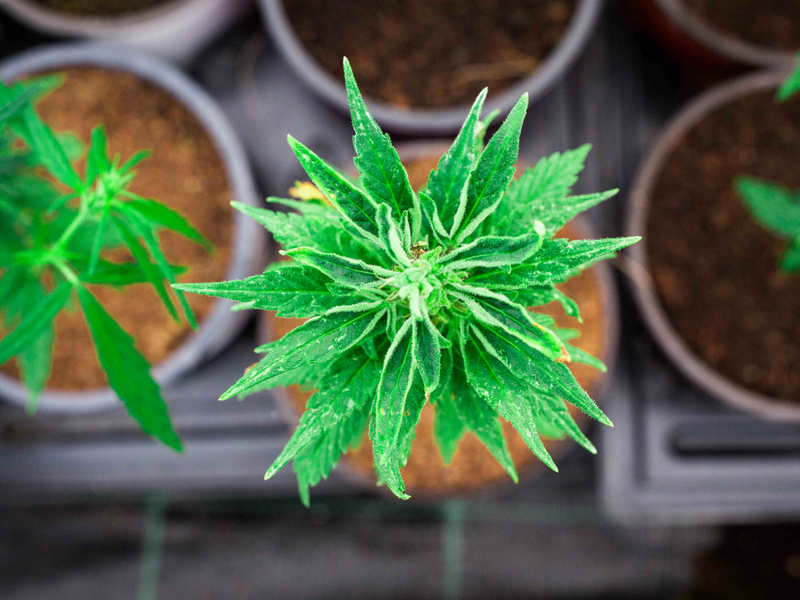 At-home growers enhance the genetic diversity of cannabis so the species can resist the likes of gray mold, fusarium, powdery mildew and spider mites. Perhaps one of the worst things about industrial agriculture is that it relies on a narrow set of genetic precursors for most of the world’s staple crops. Lack of genetic variation means that plants haven’t the complement of genes necessary to fight off attackers. Crop predators, which evolve rapidly and with laserlike precision, will more easily find the weaknesses in genetically stale monocrops and consequently destroy them. This is the case for many Big Ag crops, but perhaps the most well-known among them is the banana. The ubiquitous Cavendish bananas we know today are the result of industrial monocrop breeding that leaves this variety of the fruit susceptible to fusarium wilt (a terrible disease that also kills cannabis) and other diseases. Now, researchers are predicting the lack of genetic variation in bananas will mean their eventual extinction. If cannabis becomes an industrial commodity — that is, fewer home-based cultivators growing from seed and from rare clones — with most cannabis produced on an industrial assembly line, then genetic diversity will decrease, with monocrop cannabis being more vulnerable to pests and diseases. Evolutionary biology and sociobiology instills in humans the need to nurture, to see an organism start out vulnerable, and with our care, love and effort, grow into fruitful maturity. Some people have children to nurture, while others prefer pets. Of course, cannabis plants won’t come squealing, purring, barking, grunting or tail wagging at you with love in their eyes. And unless you’ve inhaled some seriously hallucinogenic bud or eaten a mind-bending edible, your plants won’t appear to be as animated as our furry friends. The process of caring and nurturing your cannabis crop can be almost as fulfilling as when you nurture a child or a pet. In its own way, growing marijuana is challenging and requires intuition and love, because plants can’t easily tell you when they’re happy or sad. They don’t cry and scream, lay panting on the floor, or have watery eyes that indicate sickness or distress. Cannabis plants communicate to you through the condition of their leaves, growth rate and vigor, and your best grow ops come when you tune into your plants and pay attention to what they’re trying to tell you. The interesting, unique thing about nurturing cannabis is that you’re doing it symbiotically to feed your head. The love, care, grow medium, nutrients, light wavelengths, water, air and trimming you bestow upon your crop results in your plants giving you cannabinoids and terpenoids that enter your body, bond with your neuroreceptors, and change your thoughts, emotions, muscle tone, pain levels, moods and feelings. Pets and children also enhance your feel-good chemistry via the dopamine and serotonergic systems activated by social interaction, but growing cannabis plants is a person-to-plant relationship different to any other nurturing relationship. During the months when I shut down my grow op because it’s too hot outside, or I have to travel or have visitors arriving, I wake up in the morning and feel a void in my heart where my grow-op duties would be. Growing marijuana gives me something alive to care about and helps keep me whole. The lifestyle I lead as a grower helps me avoid things I dislike intensely, such as getting up early five days per week, putting on a uniform or corporate attire, commuting through teeth-grinding traffic to a cubicle or worksite where I’m trapped all day, dealing with office politics, or worrying about being fired. Growing cannabis is a home-based business that isn’t making me rich, but it does give me independence. I have the personal freedom to arrange my days and nights so I do my gardening chores when I feel energetic, and can spend the remainder of my time resting and recharging. By growing and selling cannabis, I’m doing my part in the fight against corporatism, the creeping takeover of employment and the necessities of life by large corporations that view everything and everyone as a commodity. 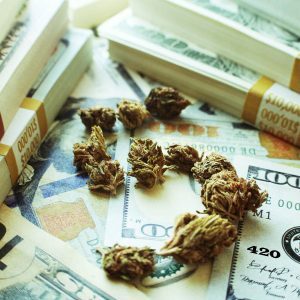 Unless black market and legal small-scale growers keep on growing weed, then Big Pharma, Big Tobacco and Big Marijuana will swoop in to dominate the weed market. One day, you might not be able to find seeds or clones, or even grow your own. 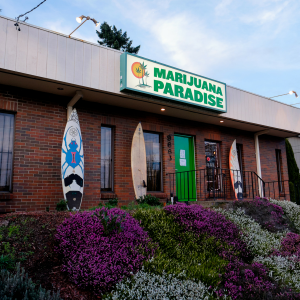 The only place you’ll be able to get cannabis is to buy it from a conglomerate. And yet, change is coming, and it’s not a change I welcome. A highly legislated cannabis industry is creeping ever closer to the state in which I live, and if it does come, my grow profits will shrink. If and when that happens, I’ll have some big decisions to make. I couldn’t live on less than the $29,000 a year I currently earn growing and selling. However, until such time as cultivating cannabis is no longer a profitable option for me, I’ll keep growing for as long as I can. So, here’s my message to home-based growers: If you’re feeling squeezed, dismayed by legalization, or not making enough money growing marijuana at this moment, take heart. Cannabis cultivation is an honorable, noble profession that makes the world a better, higher place. Even if I quit growing and lived right next door to the world’s dankest recreational dispensary, I know I wouldn’t be able to buy the fresh, sweet buds from strains I’ve bred myself that give me the cannabis highs I love the most. And for that reason alone, growing is worth more than any monetary profits I earn.